Spring marks the migration of warblers to the Appalachians, where they spend the summer hanging out and raising families. 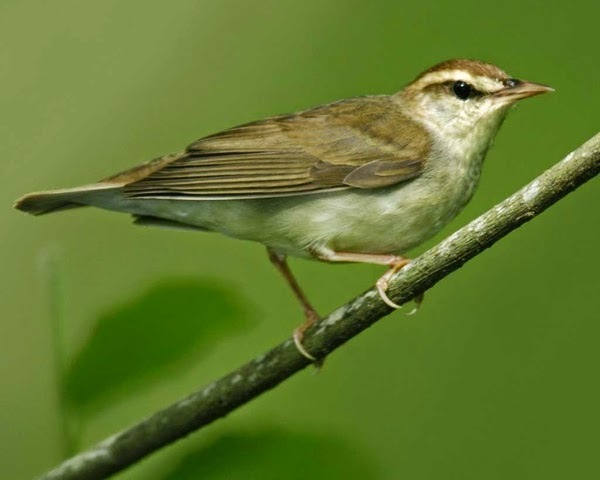 We thus dedicate the month of April in our 12 Months of Birding at the Inn blog series to one warbler who likes to make Pisgah National Forest its spring and summer destination: the Swainson’s Warbler. Frequently heard but rarely seen, the Swainson’s Warbler is on the “Elusive Bird” list at the Inn on Mill Creek B&B near Black Mountain, NC. It loves rhododendron thickets, and we have plenty of those. Only problem is, those thickets are…well…thick, giving the Swainson’s Warbler plenty of opportunity to be super stealthy. It doesn’t help that the Swainson’s Warbler is pretty nondescript as birds go, dull brown in color with very little in terms of markings. It does have some darker brown shading on its head with a light whitish eye streak right above its eye. If you see a Swainson’s Warbler while you’re at the Inn, do let us know and we’ll add you to our “I’ve Seen That Elusive Bird” list. Will this be the year we get more than a fuzzy photograph of the Swainson’s Warbler? Stay tuned!